John Martin, Duvashen Padayachee, and Liam Talbot will lead Walkinshaw GT3’s assault in the Am-Class at next month’s Liqui-Moly Bathurst 12 Hour. Martin and Padayachee spearheaded the driver line-up for Walkinshaw’s 2016 Australian GT Championship campaign, while Talbot is the reigning Blancpain GT Endurance Series Am-Class Champion. Walkinshaw GT3’s Managing Director Adrian Burgess says he believes their experienced squad of drivers will be competitive in the endurance event. “We believe the driver line-up we have assembled for the Am-Class for our first Bathurst 12 Hour will be strong contenders to win the category. 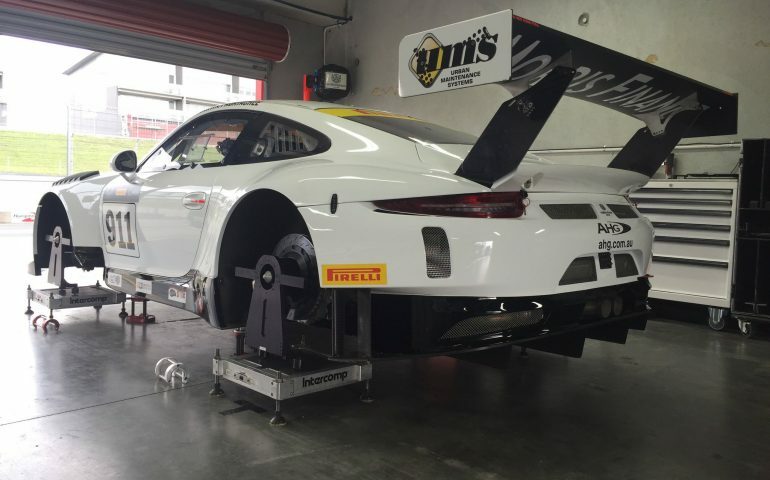 “John and Duvashen performed well in the 2016 Australian GT series achieving multiple podium positions during the season, so they are accustomed to the Porsche and are experienced racers. “Liam is a very talented Am-Class driver and is fresh from claiming victory in the Blancpain Endurance Am-Class in Europe; he brings a lot of endurance racing knowledge and skills to the team. “Walkinshaw is honoured to be representing the prestigious Porsche brand at one of the most significant races in the world for GT cars. “It’s the perfect way to start the Australian racing season and will no doubt be a fascinating event,” said Burgess. Porsche recently announced Walkinshaw GT3 will also represent the Porsche factory efforts at the event and run a second 911 GT3 R in the Pro-Class. Porsche’s factory drivers Earl Bamber, Kevin Estre and Laurens Vanthoor will join Martin, Padayachee, and Talbot under the Walkinshaw GT3 banner at the Bathurst 12 Hour, Mt Panorama 4-5 February 2017.